Behold, the power of a good idea! Although savvy marketers would have you believe the world operates on the power of a special brand of donuts (don’t tell me I’m the only one who watches those commercials). The fact is that good ideas are the real currency of social progress. It was at a Boys’ State Convention in Oregon decades ago that the idea for a “bottle deposit” came into existence If you’re not familiar with that concept, it’s a small fee people are required to pay in some U.S. states for a can or bottle of soda that can be refunded when the empty container is returned to the store. Dozens of states, including Oregon, have adopted similar measures to encourage people to recycle more. One of the interesting side effect was that it also created a novel fundraising opportunity for students who often go door-to-door asking for empty bottles to raise money for their school, church or sports team. That entire concept was created by students at a leadership conference. Pretty impressive. Throughout history good ideas rise have always risen from the bottom to the top. Once airborne they can travel around the world giving birth to new ones. Sometimes these ideas are so powerful they have the ability to make a seriously positive impact in the lives of ordinary people. The amazing thing is that an idea lodged in your cranium right now could potentially help millions of people. But how do we get good ideas out of our craniums and into the real world? What if we feel like we have no good ideas at all? One of the best places to start is by researching what’s working in other places and trying to adapt them where you are. By experimenting with ideas you can develop your own unique solutions and thereby making an old idea even better. 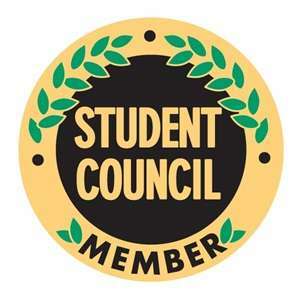 Student council is a great place to launch a new idea that can benefit your community. For starters you are young, energetic and full of motivation to get things done. You also have resources at your fingertips and the ability to mobilize people to achieve positive change. If you use these resources wisely, an idea can start in the mind of one person and spread like wildfire through a school and community! There’s no limit to the impact you can have. Step #1: Compare your ideals with reality. One way leaders think of new ideas is by imagining how things “should be” and then matching that picture with the present reality. To begin this process you could begin by describing what the ideal school environment would be. 1. Students having a say in how their education is delivered. 2. Many choices at lunch time, including healthy options. 3. Outstanding communications between the school board and student council. 4. Convenient places to park a bike, car, etc. 5. People in need within the community are supported. etc. Now take a look at your school for what it truly is. Where does it meet your expectations? Where does it fall short? It’s in that gap where reality falls short that the greatest ideas can be found. Step #2: Link the reality to the ideals. Now that you’ve imagined your ideal school and compared it with the reality, how can you create a pathway that will allow the situation to improve? In other words, how do you get from point A (current situation) to point B (better situation)? Let’s say that you want to make it more convenient for students to park their bike around campus. Great! Where should the new parking place be that would make it more efficient? By pushing the reality towards the perfect world, you have created a new idea! Step #3: Remove the barriers. It’s great to have a bold new idea, but you also have to make it possible. Identifying the barriers that stand in the way can help you take an abstract idea and make it possible. What are the barriers for your idea? Is a need for better planning? Funding? Getting permission from key administrators? Developing new rules? By overcoming these barriers you can say to people, “Look here’s this great new idea and we will achieve it by doing A, B and C”. After-Prom Party – Safe zone from midnight to 5 a.m.